Are you seeking a lawyer who listens to your real estate concerns? Do you require a lawyer who provides legal services that meet your specific business law needs? Does your estate planning or personal injury lawyer know Florida law well? 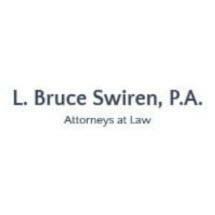 Contact the attorneys at the Swiren law firm in Orlando, Florida. Quick, timely response: Whether you are buying or selling a home, starting a business, filing for bankruptcy, or have been in an injury accident, you need a lawyer now. Our skilled real estate or business and bankruptcy attorneys and personal injury lawyers will respond to your needs in a timely manner. Cost-effective legal services: Our Orlando law firm charges competitive fees and delivers value for every dollar spent. We offer an initial consultation at no charge so that you can determine if we are the right law firm for your needs. In-depth legal knowledge: We know Florida law. Since 1981, the Swiren law firm has developed a knowledge and experience base that serves our business and real estate clients, estate planning clients, bankruptcy clients or personal injury clients well. Personal attention, tailored solutions: Our real estate and estate planning lawyers know that your needs cannot be fulfilled by standard forms alone. We listen to your concerns and recommend individual solutions tailored to meet your legal goals and objectives. Contact us online now, or call us at 407-287-5137 today, and schedule a free initial consultation to discuss how we can help you with a real estate transaction, business startup, last will and testament, personal injury claim, bankruptcy or other legal matter. We accept prepaid legal insurance plans from ARAG, ARAG Direct , Signature Legal Service Plan, and Hyatt Legal Plans. L. Bruce Swiren, P.A., Attorneys at Law guides executors and appointed administrators through the trying process of settling the estate of a loved one or family friend. With more than twenty-five years of experience, our Florida estate planning lawyers can assure that you have the estate planning documents you need in place. Filing bankruptcy can be complicated. Our experienced lawyers can guide you through the process and help you get the second chance you're looking for. To assure your real estate transaction meets all legal requirements and protects your rights and interests, contact the real estate lawyers at our office. We help clients deal with the threat of foreclosure and are skilled at guiding clients through preventing foreclosure through a variety of means.